The current software is officially 11.2.8a, however there is very little difference from the 11.2.6 update. The main feature we have been focusing on for the iOS is the Dropbox feature under the customize panel. You may access the Customize Panel by clicking on the swirl icon on the bottom left of the main Davinci Screen. Here you can add your own frequency lists. Also, you can import different frequency lists from other users like Dr.. Ariel Policano and Dr. John Char. Please attend some of our training seminars on how to utilize this aspect of our program. 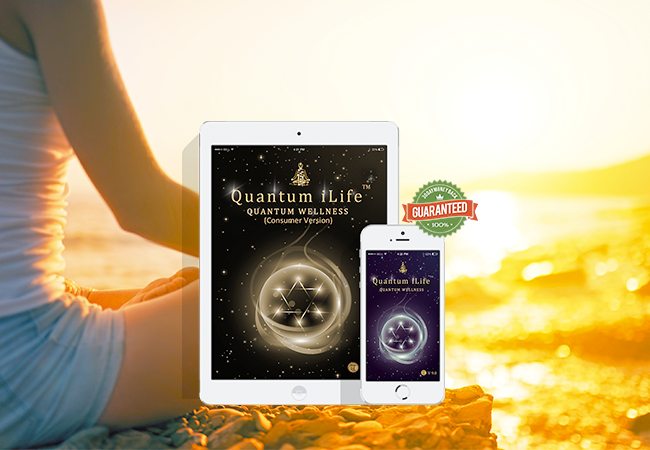 This really is becoming a phenomenal aspect of the Quantum iLife/infinity App. Now you can upload images to your customize panel. This means you may upload all the Catholic Saints and create a category for Catholic Saints. Perhaps, you are a Buddhist, well now you can upload all "Buddhist" related images. Well these images are then converted to a sacred energetic signature using a mathematical formula and you can then drag these items into the Multi Layer Rx or Balance Rx tray for balancing... Pretty cool huh? 1: Tap the icon again and see if the "waiting" changes to "installing"
If your device has 3G or 4G (for example with ATT&T or Verizon) then you will need to turn off the 3G or 4G during installation.